One sickie, two sickie, three sickie? Four?? One of the blessings of being a teacher is that we get a good amount of time off with vacations and holidays plus a number of “sick days” to use throughout the year. I was fortunate enough to have enough days to get me through six weeks of my maternity leave before having to take unpaid time off. The problem we have now encountered is that I’m out of days… And suddenly, I’m needed. And also feeling my own aches developing in my throat and ears. Tessa’s fever has not diminished yet and now John has developed symptoms that we think may be strep. 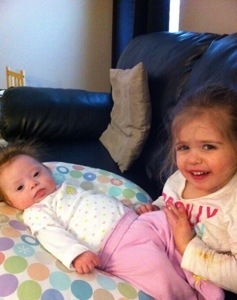 In addition, Tessa has a follow-up visit soon with her doctors from the NICU… and then there is the surgery coming up. The stress that I am carrying around these days is that I am simply unable to be there for my child and family. I can take a day unpaid for her surgery, but more than that is simply not feasible. We’re teachers. We have many student loans and a mortgage and a car payment. Frazzled is pretty much the only way to describe this house right now. 2. that Ellie not catch this bug or any other. For the sanity of all of us, that girl must stay healthy. I’ll be chugging orange juice and other forms of vitamin C until this storm has passed. We had a follow-up visit with our Ear Nose Throat (ENT) doctor today. If you recall from my three-month update on Tessa, we were checking to see if the fluid in her ear would go away if treated with Nasonex. A month has passed since then and the fluid is not gone. Because of this, sometime in the next couple weeks, Tessa will have her first surgery – she is having tubes put into her ears. While they have her under the general anesthesia, they will also do the camera-down-the-throat check to confirm whether or not Tessa has laryngomalacia (see more here), reflux, or something else. It’s great that she is eating upright, but we are still hearing squeaky noises (called stridor) and she has a recurring cough/congestion that we want to check out. We are thankful to have a proactive doctor… and one who can do the procedure so quickly! She will have the tubes put in AND the bronchoscopy (not sure how to spell that one!) in a procedure that only takes 10-15 minutes!! My faith has always been quiet. Please don’t mistake my quietness for weakness. While I tend to be am bossy in most other aspects of my life, for me, my faith life is one of quiet example rather than outward and vocal evangelism. I don’t prefer to reference my faith in conversations with friends or strangers. It’s not uncomfortable for me… I could probably write a thousand words trying to explain my behavior. Suffice it to say that it’s just not my style. However, as I sit in the early morning light of a peaceful Holy Saturday morning, I feel the itch to share one of my favorite hymns. How Great Thou Art was one of my grandma’s favorites also. In my memory, she (the woman for whom Tessa was named) also lived a devout, but quiet, Christian life. I vividly remember this song playing in her home, surely recorded onto one of her millions of cassette tapes, though by which artist I have no idea. Today, I’m feeling so very blessed for these memories. I haven’t been on a nature walk lately, but in my own home, I can see all of the blessings that God has provided us. Dusty picture frames with captured memories of loving, joyful times… dirty dishes with remnants of delicious meals shared with each other… the lingering sweet smell of a bonfire on the back patio. Every rowdy visit from the tickle monster and every cuddle on the couch with a sleepy child… None of these moments are guaranteed to us and yet, our life is full. 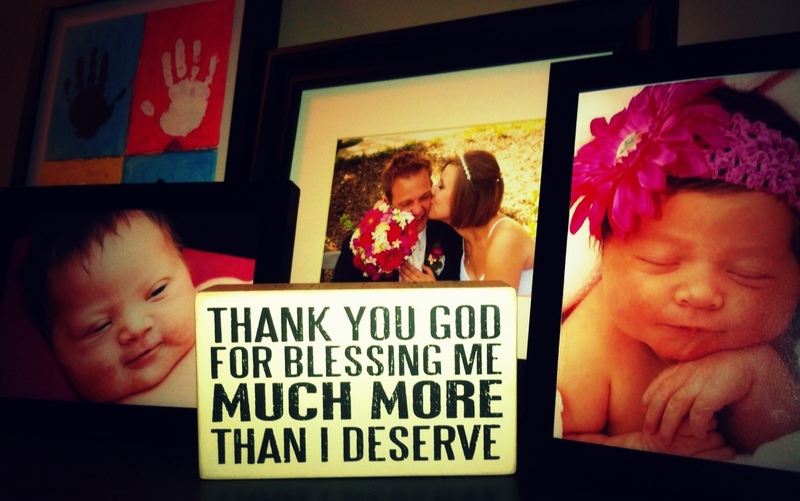 I am overwhelmed today by the gift that God has given us. To send His Son to die so that we may eternally live with Him in Heaven… what pain must have filled His heart to see His own sweet child suffer and die. And still, what joy that we may all share in the bounty of His love!! The blessings of my earthly home are countless and I cannot imagine what is in store for all of us when we are called home with Him. Well, we thoroughly sucked at this week. This was the first week since before Tessa that both John and I have been working. I’m sitting at my kitchen table, surveying the disaster that has been created by the tornado of our life. Strewn across the surface of our table are the remnants of not one, not two, but three McDonalds Happy Meals… there are empty Chinese cartons, a Chili’s To Go bag, a couple of squeaky styrofoam boxes from our favorite sushi restaurant… and I haven’t touched my weight watchers app in seven days (thanks for sending me the lovely reminders, Weight Watchers App. No, I haven’t tracked my weight lately, I know. I don’t even want to know where that number stands after this week). I often measure the stress level of our week by the number of meals we eat as a family, at our table. We shoot for five. This week, we were at one. I think. Then again, that may have been last week. After a weekend full of way-past-your-bedtime events, Ellie was in a funk. There were lots of tears and sulking by the door to our garage, waiting for Daddy to come home to save her from Lord knows what. Me, I guess. One day, she spent 45 minutes carrying on about how she had no toys anywhere and how she wasn’t going to play ever again. One night, there was vomit. That was awesome. If you are an unmarried reader… my unsolicited advice to you is that you find the partner who will laugh through the 1 AM, 2 AM, 3 AM vomiting toddler/hungry infant extravaganza and will thank you for being awake with him (as if there were really a choice). I actually broke down and called for an estimate on how much it would cost to have my house cleaned by professionals. Sooooo not in the budget. In any case, we have learned the importance this week of my monthly meal plan (which was not in place this week… hence, the struggle… or so I tell myself) and our shared iPhone calendar. While I don’t think that we will ever not be busy, we will get better at the adjustment to two in the working world, two in daycare. Before I forget to record them, there were some fabulous bright spots to our week. And I mean fabulous. 1. Tessa took almost all of her feedings today in an upright position. HOLY Guacamole!!!! Yes, yes, yes, THIS is what we have been praying for most. 2. Ellie took a bath with zero tears. I haven’t written much about this (it’s a “coming soon” post), but suffice it to say that bathtime has been a terrible experience for quite some time and we are finally getting our little fish back. 3. Tessa figured out how to roll from back to belly today. She’s been on her side and aaaaaaalmost over for a little bit, but she finally got her shoulder to cooperate. I’m SO proud of her… and SO terrified to walk into her room and see her sleeping on her belly. I’m not ready for that! 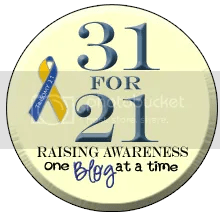 I follow a group online called the Down Syndrome Diagnosis Network, which exists to support families when they have received a Down syndrome diagnosis. While I have written extensively about Tessa’s Birth here, it’s worth dissecting the process of the actual diagnosis. I promise I’ll be totally honest. I told you I’d be honest. And where did I get the number 32?? In any case, I’m telling you about the diagnosis, aren’t I? I feel like my husband is the best person to tell this story. After all, he is the one who actually received the news, not I. That is really how it went. 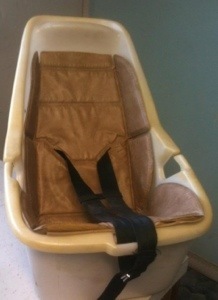 NICU was called to the delivery because of dropping blood pressure. As she was delivered, John told me it was a girl and my jaw dropped to the floor. She cried and it was beautiful. As NICU examined her across the room and I continued the delivery process, they started talking about strong markers for Down syndrome and did we have prenatal testing? The silence of the room was thick. 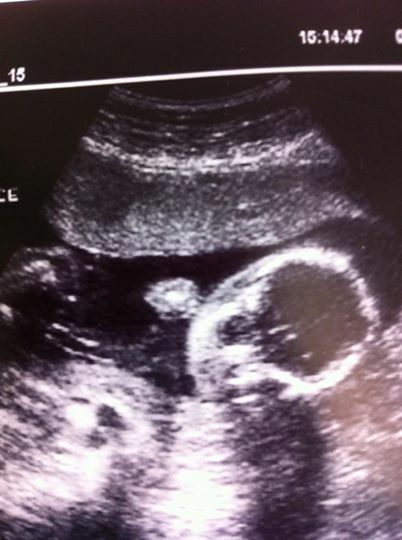 It was cramped with people and yet my husband and child were so far away… My nurse wanted to know if I knew and I was telling myself that this woman was surely mistaken because this would have been seen on my ultrasound. Wouldn’t it? People don’t just get a diagnosis like this. Do they? I’m not prepared. Someone should have prepared me. In any case, she was probably wrong. My doctor (whom I adore) very quietly said to me “you know, who is to say they aren’t just as happy… even happier than we are?” And I waited. When they handed me Tessa, not exactly sure what I would see, my shell-shocked husband attempted to explain her “strong markers” to me. I didn’t see them. It was only Tessa, my sweet girl. In that moment, Down syndrome was everything and nothing to me at the same time. Later in the NICU, I examined every little bit of my baby. I didn’t get it. Something about a line on the hand? A flat nasal bridge? Her neck was different? But she looks just like Ellie! John and I went back and forth about when and how to tell our families. I insisted that we wait until we had official results. You know, in case they were wrong. Tessa was born on a Wednesday afternoon and the call came on Saturday morning. I didn’t pick up the phone, though I knew who it was. The results were in and she was positive for nondisjunction Trisomy 21, the most common (and random) type of Down syndrome. I kept waiting to fall apart. The moment never came for me. It does for some. For me, there was a lot of information and tests, then she was home and it was Christmas and New Years and on we went. 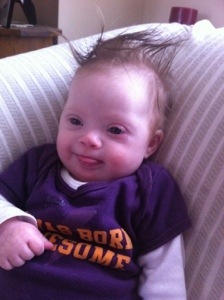 I still don’t see the Down syndrome in Tessa most of the time. 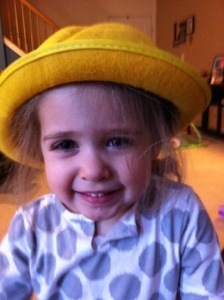 I still look at my little girl a lot and try to find what they tell me is true. I still wonder if our tests got mixed up and they were wrong. (And if they were wrong, are we going to get in trouble for all the Early Intervention that we have used??) When I take her in public or show her picture to strangers, I wonder if people know. I’m not in denial. I know she has it. Sometimes, I take her picture and I see it. But mostly she’s just this beautiful, wiggly little thing. She’s my girl. John participates every year in a half marathon at the end of August and it kind of makes me crazy. I’m glad he takes the time out to keep himself healthy and moving, but the race at the end of the training costs money and I hate paying money so that he can do something that he could do for free. But tonight, John found a cause. I want to let you all know about a charity race I have decided to join. This summer on July 20th I am running the Rock “n” Roll Chicago Half Marathon for the Ups for Downs Down syndrome foundation. 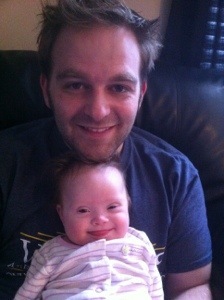 As many of you know, my daughter Tessa was born with Down syndrome earlier this year. Since Tessa was born, Maggie and I are on a mission to help people see the ability in all people with Down syndrome and not just the disability. Needless to say, I thought this race is one small way I can help the cause (and maybe lose a few pounds while I’m at it). How can you help? Well, I’m glad you asked! There are three ways you can help. 1) Prayers, encouragement, and well wishes. You can even go watch the race if you want! 2) Financial support for the Ups for Downs Organization. Think of it this way: Any small contribution you make (from $13.10 and up) is like paying to put me through 13 miles of running! It’s almost like getting back at me for being a smart aleck all these years by making me run for two hours and supporting a great cause at the same time! Below is the website you can use to make donations if you are moved to do so. 3) Join the team! 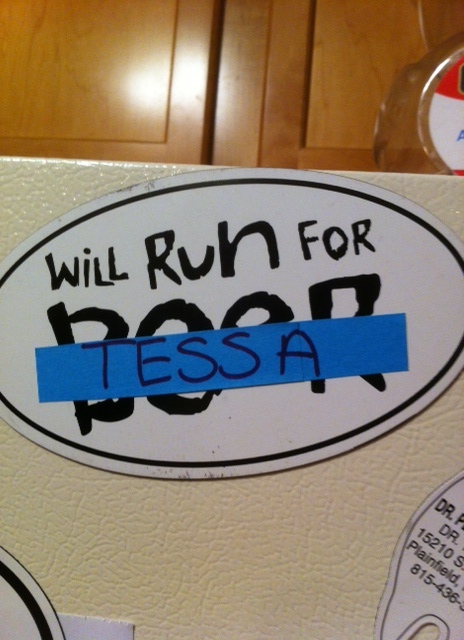 You may also sign up as a part of our running team (Team Tessa) and do some fundraising of your own. I have a feeling this option will get the least positive response, I mean who would be crazy enough to run 13 consecutive miles? 🙂 I digress, but let me know if you want to run and I’ll give you some information. Just know that the sooner you sign up, the less expensive it will be and the more time you have to raise funds, so let me know sooner rather than later. I can’t tell you all how much Tessa has taught all of us in just a short time and she can’t even really do anything yet except smile! Let’s help spread the love and start to change the way we think! God’s blessings to all of you!